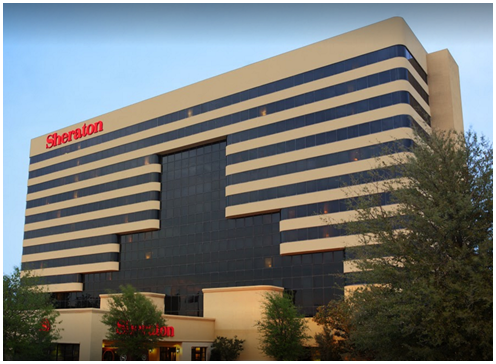 ​IRVING – Officials of The Buccini/Pollin Group announced that it has completed the acquisition of the 302-room Sheraton DFW Airport Hotel for $46 million. PM Hotel Group, a leading, national hotel management company based in Washington, DC, will operate the hotel. Located within minutes of DFW Airport at 4440 West John Carpenter Fwy., the recently renovated hotel is near such attractions as the Texas Motor Speedway, Six Flags Over Texas and AT&T Stadium. The hotel underwent an extensive $7 million upgrade to: the lobby, including a new signature lobby lounge experience; guest rooms; an expanded and redesigned Club Lounge; and all function rooms. The hotel is equipped with a state-of-the-art fitness center, outdoor pool, 25,000 sf of meeting space and the Link@Sheraton, a full-service business center.